Partnering With Manufacturers: Good or Bad? Maintaining special relationships with manufacturers can be of benefit to installers if carefully planned, says Stefan Hay, head of the Fire and Security Association. It’s a tough world out there for installers — particularly if you’re at the smaller end of the market. The constant need to balance the books while training to new standards and keeping up with the latest technology and equipment — not to mention getting the actual work done — means most of us in this business have our hands full keeping on top of business demands. To help reduce these demands on their time, some installers have chosen the partnering route — building exclusive links with manufacturers and suppliers, which can help reduce some of these demands. A question that is often asked is whether building these relationships is a good idea. The answer really depends on what you are looking for from your business — whether it’s full independence and flexibility or easier access to projects and training. There are some distinct advantages to building close ties with a select number of reputable manufacturers. For example, they can lead to a firm becoming a preferred installer, which gives companies a greater opportunity to tender for design, installation, commissioning, and maintenance jobs, since sales leads come directly from the manufacturer. These relationships can also bring familiarity and, with that, a deep understanding of the product suite and systems in use. This will allow firms to position themselves as real experts, and it will allow you to implement a common installation and service training process, thus cutting the cost of — and streamlining — training. This will save you money on having to retrain both your sales staff and engineers on a menagerie of conflicting and contrasting products that they have to recommend, deliver, and maintain. There are also direct benefits to limiting the number of manufacturers from whom you purchase. If your staff has intimate knowledge of the portfolio of products you supply, your business will reduce the time taken in sourcing alternatives for each quotation. In addition, you can streamline your stock of spare parts, and you could also benefit from preferred installer discounts. All of this helps cut down on the operating costs, which could help a firm put forward a more cost-effective bid without compromising its profitability. Relationships also bode well for long-term repeat business. Though it’s unlikely that most low-value domestic installations will ask for an upgradable system (as this market is more price-motivated), high-value domestic installations and commercial clients are likely to require a higher level of product integration and upgradeability. If you are working from the same product range, this process is a lot easier, because you can ensure what you install has the highest compatibility. However, the partnering route is not necessarily the best for all businesses. Primarily, an installer may not wish to bed itself in with a particular manufacturer. It may be concerned about its independence. It may also be uncomfortable with the idea of being largely dependent on one or two particular firms; if those firms found themselves in hard times, the installer would likely follow and may have less room to manoeuvre and shore up its business. It also depends on the type of products the installer is handling. 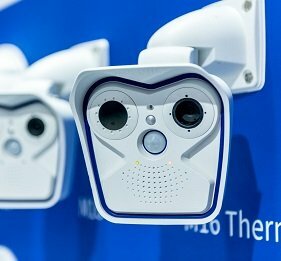 For products going through rapid technological advances, such as CCTVs, there’s probably little benefit in getting tied in to one manufacturer. The leading brand today could find itself supplanted tomorrow by a competitor with a quite different set of products and standards. Therefore, it makes little sense to align your business with technology that could be obsolete in the space of a year. As with most situations, there are pros and cons in establishing a partnership business model. However, if an installer does go down this route, it must make sure it picks its partners wisely. Don’t be afraid to specialize and take advantage of leads from suppliers. But at the same time, make sure you aren’t limiting your ability to add more products. And as ever, make sure you and your staff keep up to date with the latest developments to future-proof your business. I think many of us look back to the bad old days of leased kit, proprietary equipment and getting stuck with a manufacturer. However, that doesn’t really happen anymore, giving us the flexibility to change kit. I think developing these relationships with manufacturers is really important: they know what they are working on in R&D, what does/ doesn’t work etc. Most of us will still have procurement departments and go through tender processes, so there is not any strain on these relationships when other manufacturers are asked to bid. Partnering with manufacturers is a fine practice but to a degree you can not let them define the relationship in such a way as that it becomes an excluse relationship because then you have all of your eggs in the one basket. Proprietary or not if you are marketing their product solely and they go out of business then you either have to find a new product to push and become familiar with quick or you are out of business as well. With global procurement departments we are frequently finding ourselves pushed into having global suppliers. They might offer good rates but in my experience, they aren’t always able to provide the same service all over the world (or even outside of the US). It is these kinds of agreements that sometimes make the manufacturers lazy and then the end user will invariably suffer. These partnerships should always be fully disclosed to customers, real or potential. There’s no issue with being somewhat captive in product lines as long as the client understands the relationship. For that matter, this can be a selling point if the reasons and advantages for partnering are as succinctly described as the author has in this article.